Getting a well built body is an outcome of rigorous effort and the best of the diet. So, it is pretty sure that if somebody really wants to get a body with high mass then you should always eat right and make sure that you are having those Mass Gain Supplements to built muscles. As we all know that taking protein supplements can increase muscle building, and on the other hand you should also make sure that you go to your gym for that sweating sessions to get those high building muscles and those high rising biceps. There are many people who spend huge amount of money on buying those protein shakes and meat which are believed to be the ultimate muscle gainer; but actually there are many other elements that are considered as one of those muscle boosters that can get you a dream body. There will be no person around who is into body building obsession, who does not know about whey protein. This is one of a kind, which is a real important element that can be a significant one as it can push the protein synthesis. Whey is a kind of milk protein, which carries high quality, and the highest number of branched chain amino acids, that builds muscle faster. Moreover, another positivity of this element is that it is a faster digestible, and contains peptides that carry the blood correctly flown into the muscles. Whey Protein is available in powder form and in various flavors. Moreover, one can take it before work out and the measurement should be 15-20 grams and 30-40 grams after 1 hour of training or workout. Moreover, one can take it right in the morning to get the energy and the muscle boost, which can become faster if taken at the breakfast time. This is another milk protein and just comes second rank after Whey Protein. This protein digests slowly and can be a great food for dinner or bedtime snack. The protein can prevent catabolism and digests in a slower pace, and eventually can make you feel full. In addition, to this could be one of those supplements, which can help in losing weight, and those who want to skip any meal or overeating. Casein protein can also give the same muscle boost as the whey protein. Many weight-training experts suggest taking a combined mixture of both the protein powders post workout. 20-40 grams of Casein Protein at bedtime and one can mix about 20 grams with Whey protein shake post or before workout and can take 20-30 grams in between meals. This supplement is a combination of from three amino acids such as arginine, glycine and methionine and it is a good source of Weight gain. Creatine is also responsible for boosting strength in body and that is why it is like by more and more body builders because they get more strength to work out for their muscle building. It also boost energy in to the muscles and eventually you feel more energetic in all the ways that drive you to work better in gym and you can more repetitions of your exercises that can help you to contour your biceps in a better manner. It also pulls more water to your muscles that can naturally survive on cell stretching which can help you to get the best muscles growth. It also help in increasing the insulin levels in your blood and stimulates growth of muscles. It can work wonders on your cellular functions too that can drive a better improving on your bones and other internal parts. It comes in packs named as creatine monohydrate , creatine melate, creatine ethyl ester or creatine alpha-ketoglutarate and one can take it by including it in to their protein shakes or in milk shakes with a measurement of mere 2- 3 grams. In addition, particularly this element is best taken before workouts. The element can gradually increase your stamina levels, and the body builders believe it taking after workouts. The supplement can be helpful in taking on the days where there is no workout session and can be included 2- grams with breakfast included with carbohydrates i.e. bread, dairy, legumes etc. This supplement can be one the good choices of the elements needed for mass building. The supplement is a great combination of leucine, isoleucine and valine, which are known as the most important amino acids for repairing and building muscle tissues. Leucine is especially responsible for stimulating the muscle protein synthesis naturally and moreover the elements with the combination of the three amino acids are known to be the energy booster and it is best if taken all three together. In addition, in this element they are found together that is multi-beneficial for the body and the muscle builders. It can improve muscle growth, boost more energy during workout that prevent tiredness, the dash of cortisol which is responsible for increasing catabolic hormone that slow down testosterone and increases muscle breakdown that eventually reduce delayed-onset muscle soreness. It is taken as same as other protein or as mass gaining supplement and the measurement would be 5-10 grams pre workout and post workout. This product is also called as BCAAs in short term and make sure that you check the ingredients ratio before buying. The ratio of presence of leucine should be 2:1 in comparison of other two-ingredient isoleucine and valine. Therefore, the grams of this powder should contain leucine 2.5 grams isoleucine 1.25 grams and valine 1.25 grams. This element is known as the strength elelvator as it contains the beta-alanine, which is an exclusive amino acid, which is combined, with another amino acid named histidine to form carnosine, and if the element named carnosine is taken then it can show marvelous effect on muscles building. It has also been found in the medical researches it has been found that carnosine helps in increasing the muscle fibers and also increases its ability to contract with more force and prevents muscle fatigue. In addition, this has been one of the most loved supplements or the athletes. If a person takes Beta –Alanine with Creatine then he or she will be able to gain more muscle and lose body fat compared to those who only took Creatine. This supplement is taken 1-2 grams just before breakfast and after workout, it should be taken with creatine with shakes and milks. The day on which one is not goingt o gym or working out then the dose will be of 2 grams with breakfast along with Creatine shake. It is also called as NO in short term and actually, it is a molecule, but not any direct supplement but has great impact on the muscle and the body, and plays multiple roles within. The bodybuilding people are more looking to get the power of dilating blood vessels that allows more blood flow into the muscles, which can enhance the oxygen delivery into the blood along with other nutrients and anabolic hormones. While you have it in your body, you will be boosted up with more energy and with an enhanced muscle build and a quicker muscle recovery. 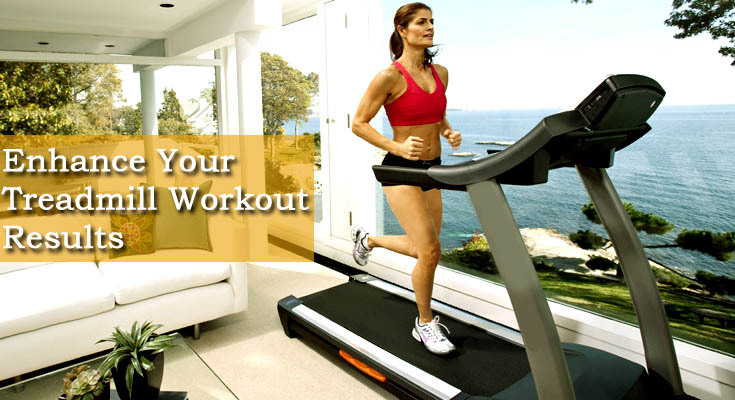 In addition, the best part is that your workout will show better results with lesser fatigue. The NO boosters are provided with Arginine which can convert the nitric Oxide inside the body as it cannot convert the element on its own and if it is provided with Arginine then it can get you a fat less body with more muscles. One should take a Nitric Oxide booster, which can be a composition of, provides 3-5 grams of arginine in the form of L-arginine, arginine alpha-ketoglutarate, arginine ethyl ester or arginine malate. One can also use some boosters, which carries the ingredient of citrulline, pycnog-enol and American ginseng, which can boost up arginine’s ability to increase Nitric Oxide. The body builders can take it nearly half an hour to 1 hour before workout and post workout. In addition, the time difference should be kept same before bedtime. If you are keen to take Nitric Oxide boosters then make sure that you are taking it without food and taking the NO boosting supplements along with 500-1000 mg of Vitamin C that will help to maintain the levels of Nitric Oxide Booster for a longer time. This is another amino acid, which is very good for the body builders, and its work is to accelerate more muscle function and is one of the important amino acids that are found in a human body in abundance. This element has plentiful of advantages such as improved growth of muscles, enhanced levels of leucine in the muscle fibers, lesser percentage of muscle breakdown and boosting the immunity in the body which can create more tolerance. Therefore, if you are taking Glutamine, then it is sure that you will not get tired quickly and it will enhance your hormone levels. According to medical experts, it has also found in the researches that it can be a great factor in fat loss as it can burn fat faster and can burn calories to a faster pace during exercising. You are advised to take Glutamine 5- 10 grams at breakfast, before and after workouts and can use it as your bedtime snack. This is a combination of three ingredients i.e. zinc, magnesium aspartate and vitamin B6. In addition, hard training athletes as well as body builders take this supplement too. As this supplement can maintain good hormone levels and can help in good sleep. So, the sports person who are supposed to get a sleep which is really necessary after a rigorous workout should definitely have it. After an intense training, one should get some sleep for that internal recovery, lacking of this supplement can result in drop levels of testosterone, and IGF 1. In another research it has been found that the people who take this supplement has an increased level of testosterone and IGF-1 levels who were suffering from low levels of both T and IGF-1 hormones. In addition, it can lead to huge muscle gains if used in well manner. One should take this supplement 30-60 minutes before sleeping but without any food or calcium supplement. One should only use the product ZMA that has these three ingredients in the correct proportion i.e. about 30 mg of zinc, 450 mg of magnesium and 10.5 mg of vitamin B6. And it is always advised to take in empty stomach before sleeping for the best sleep and best internal recovery. Carnitine is popularly known as a well known fat loss supplement , thus it lead to fat loss and along with that it is also provide with many other health benefits, and they are especially found by the medical experts through their researches. This supplement is responsible for an increase blood flow in the muscles, which simply defines a great Nitric Oxide booster that can lead to a great muscle builder. Moreover, it is a good element to increase testosterone and T receptors levels in the body after work out for more stimulation and growth. In the clinical studies it also has been found that the Carnitine supplements can lead to increased levels of IGF-1 inside the muscles which can make them grow better. One have to take 1-3 grams of this supplement which can also be available in the brand names of L-carnitine, acetyl-L-carnitine or L-carnitine-L-tartrate. And it should be taken with breakfast, before and after workout sessions and also at your dinner or night meals. This supplement s quite a strange one and is actually a phytochemical which is normally present in the plants and leafy vegetables like spinach and the natural work of this element is to protect the leafs or this kinds of plants from insects. The Russian scientists had made detailed researches on them and found that Beta Ecdysterone has the hormone in it which is as same as found in the insects and crustaceans, but it does not work like those insects , rather it works as a protein as a muscles booster inside the human body if taken in the right quantity. It can increase the size as well as the inner strength of the muscles. If you want to make the best of this element then you have to make sure that you take a good amount of this element in all your meals. You should take about 100 mg of Beta Ecdysteronein your breakfast and other meals also, and make sure that all together you are taking 400-500 mg of this supplement per day. This supplement is a one-molecule substance and a high molecular weight carbohydrate, which is also known as HMCs are large molecules and they are heavy too. They are found in corns and have the power to pass through the stomach very fast, and is 100 percent more effective than other sports drinks. This is usually taken after workout sessions as it can prevent muscle breakdown, raises insulin and glycogen levels, and promotes muscle growth. This supplement is used by the medical professionals, athletes, and many sportsmen and women. It is considered as the best carbohydrate in the world that can grow you with a great muscle and even more strength. It can move to your stomach faster and that can give you a better energy to perform. The supplement can also increase the glycogen levels and according to the clinical studies it also have been found that there are many sports drinks that can cause stomach bloating but Vitargo is something which can empty the stomach just after two drinks and one can feel light. It is used as a post workout drinks with a measurement of 60-100 grams to better muscle growth and increased levels of insulin and amino acids. It can be easily mixed with your milk shakes and if you are about to go for an intense workout then you are required to take it in about 30 minutes before your session and you can normally take it 10 minutes before you exercise session. It can fuel you instantly can you will be getting the energy to work out and it can also help the amino acids to perform on yoru muscles to get the best and the biceps of your dreams.